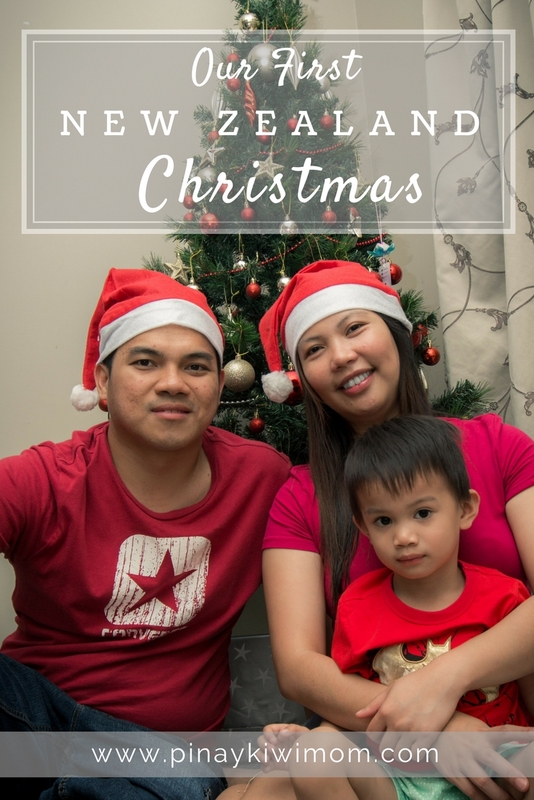 So how did we celebrate our first Christmas in New Zealand? If you think that we were lonely, na-ah, because we have friends who invited us to come visit their beautiful home to celebrate Noche Buena - a Filipino tradition we celebrate that we get together on Christmas eve. When the clock strikes 12, a parade of fire crackers light up the streets and skies as we celebrate Christmas. Here in New Zealand, as far as I know, they have a strict rule about fire crackers, so we didn't bother lighting up any. Although I think sparklers would be safe but lets save that for New Years eve. After eating our sumptuous dinner, we watched movies, played video games and had a lot of chatting. We then decided to go home around 1am since we would have another Christmas celebration at 11 in the morning. Christmas day. Joed was looking forward to this all year round because he will be finally eating lechon again! Lechon is a roasted pig and is a very famous dish for Filipinos. Luckily, a small shop here in New Zealand have them, they can get quite expensive so we only have it on special occasions. Lunch time was the most exciting as we were all ready to spoil ourselves with the delicious food prepared, my fave was the prawns. I really love seafoods! After eating, we were so full that we could barely stand, my stomach was so bloated. We kept ourselves entertained by watching movies again and playing video games, JoEd and the gentlemen are really fond of their video games. At around 5pm when it was no longer hot outside, we went out for some parlor games. We had so much fun and we felt like we were kids again. After the activities, we had our exchanging gifts, had dinner and went home. We were grateful that we got to spend our first New Zealand Christmas with these amazing people. We had fun, stomach full and most importantly we didn’t feel lonely. Hoping that however you spend your holidays, you had a wonderful Christmas just like us.